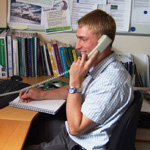 Martin Yeates provides specialist consultancy advice to dairy & livestock farmers on improving cow housing and cubicles, as well the cows’ general environment. He also provides advice on environmental schemes and being FACTS trained, NVZs, running our training workshops on these subjects. Martin is now based on his home farm in Dorset. To contact Martin Yeates or receive further information about Kingshay One-2-One Dairy Consultancy please call 01458 851555 or email contact.us@kingshay.co.uk.